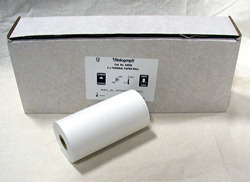 Quality coated thermal paper from Vitalograph. The coating is optimised for clear print quality and trouble free printer operation. Storage life - 5 years.